Thanks so much to Grand Central Publishing for this FANTASTIC read!! Jessica and I both gave this one 5 stars - PLEASE ADD THIS TO YOUR TBR. A young lawyer's outwardly perfect life spirals out of control as she takes on her first murder case in this dark and twisty debut thriller for readers of Paula Hawkins, A.J. Finn, or Shari Lapena. Just one more night. Then I'll end it. Alison drinks too much. She's neglecting her family. And she's having an affair with a colleague whose taste for pushing boundaries may be more than she can handle. Alison's client doesn't deny that she stabbed her husband - she wants to plead guilty. And yet something about her story is deeply amiss. Saving this woman may be the first step to Alison saving herself. I'm watching you. I know what you're doing. Wow!! I absolutely LOVED this book! I did NOT want to put this down. Alison is as flawed a character as you can probably get. 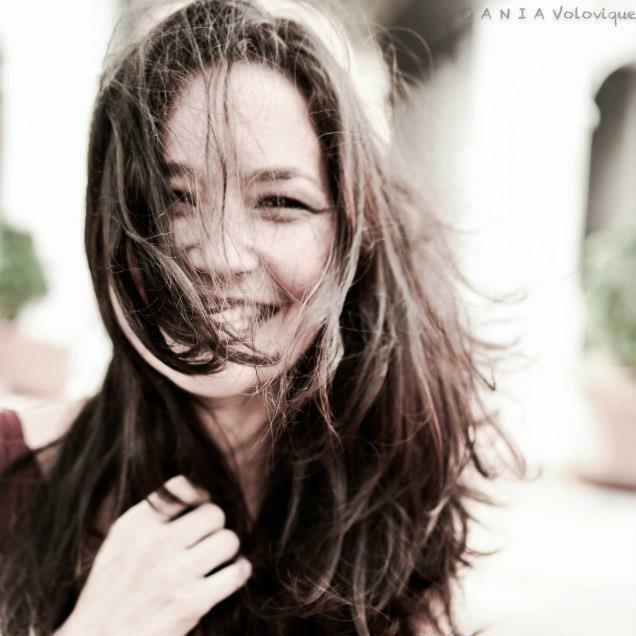 Success lawyer with a husband and daughter at home - yet in an illicit affair with a man she can't stop thinking about. Her first murder case that has her on edge and wondering what her client is hiding. Soon it all starts coming down. You know what they say, when it rains, it pours... and Alison is about to get DRENCHED. Here's the thing. I love thrillers and crime fiction and I'm sure you know that if you've been following me at all. After a certain point, a lot of stories start to sound the same, or the pacing isn't quite what I prefer because I've just read SO MANY OF THEM. If you ask a lot of thriller reviewers, you'll see that they agree. This is typically why I like to sprinkle other genre books in between these reads to refresh my brain for a bit. 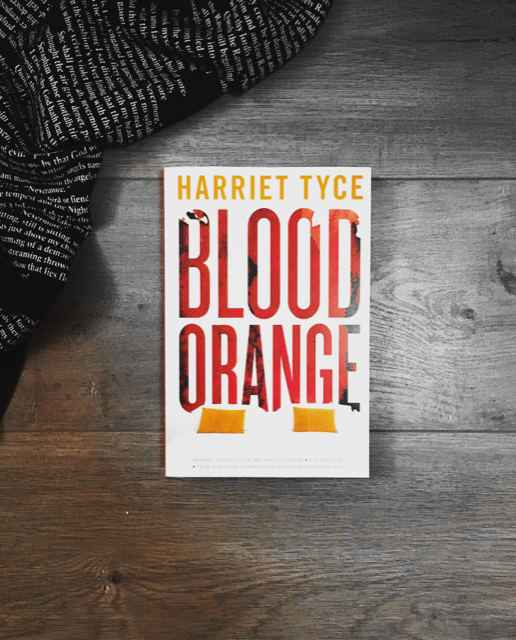 But then I run into a book like this and I jump for joy, scream from the mountains, do my Snoopy dance and thank the publishing gods for finding Harriet Tyce and Blood Orange. While the book does talk about the murder case, the main storyline is Alison and her issues and I absolutely LOVE that! I was so in tuned with everything. I wanted to know about the murder case, I wanted to know what was going to happen to Alison. I felt for her and wanted to slap her all at the same time. I loved the little hints that led you in the wrong direction and while I did figure out one twist, the other (MAIN) one, I did NOT. I could gush about this one all day. Basically it's this - PUT THIS ON YOUR TBR LIST. February can't come fast enough. I need people to discuss this book with! Trust me, you don't want to sit on this one. And Harriet - I hope you're coming out with another one soon because I need more from you! I wasn’t sure what to expect going into this book, all I know is that Chandra was raving about it. Good enough for me! I started and finished this book in about 4 hours because I just couldn’t stop. 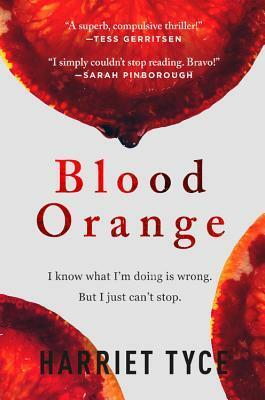 BLOOD ORANGE by Harriet Tyce is a domestic suspense meets legal thriller in all the best ways possible. Without giving away too much, we follow Alison as she seems to struggle through life. Working on court cases as a defense attorney she has just been given her first murder case. She is overworking herself, having an affair with someone from work, and can’t seem to get control over her drinking. All of this putting her family in jeopardy. Despite what Alison does, I cannot stand her husband Carl. Just an awful human and caused so much irritation for me. You feel bad for Alison and what she’s going through, despite her poor decisions. I loved the parallels she begins to see between her marriage and that of Madeline (her client in the murder case). 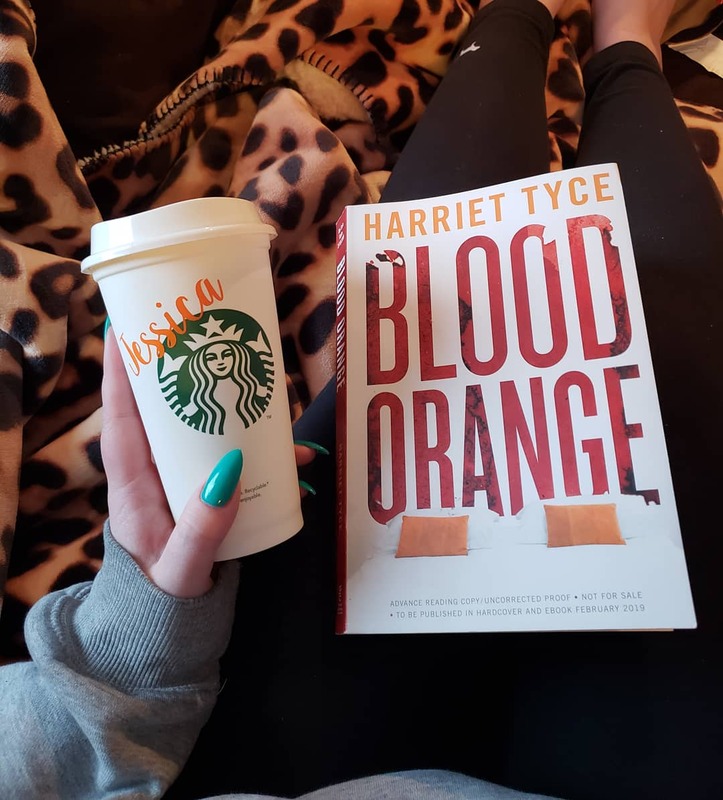 This book follows Alison and doesn’t focus so heavily on the murder, and I loved that. We got plenty of suspense and I think Tyce did an incredible job developing the characters for us. The pacing was spot on and I could not put this book down. Plenty to keep your interest, have you questioning everything, and wondering how reliable Alison truly is as a narrator. I would highly recommend picking up this debut and I will, without a doubt, be looking for more from Harriet Tyce in the future.